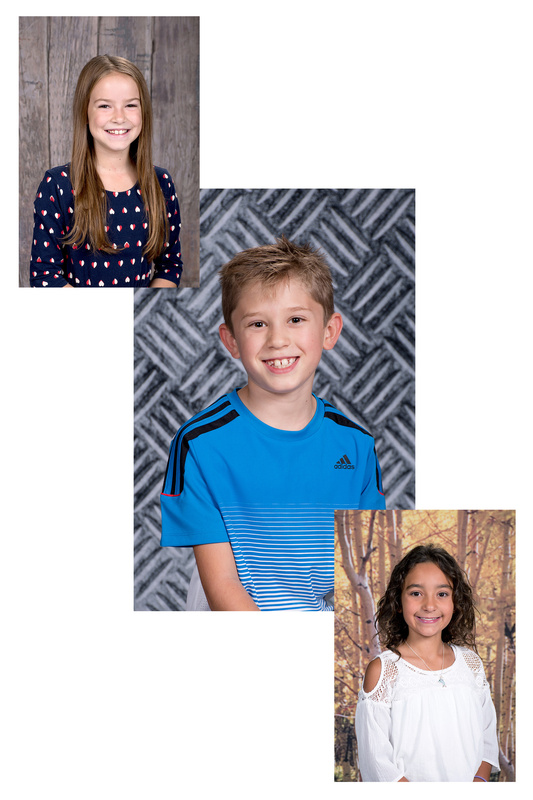 Why Choose Arizona Portraits For Your School Photos? Experience - We understand position, lighting, editing, and KIDS! Consistency - No random photographers contracted out to your school. When you have us back year after year, we get to know the kids and teachers, providing a familiar and fun atmosphere on photo day. Local - Support local businesses and keep your tax dollars in your hometown! Being local also provides us with the opportunity to give up-close-and-personal customer service and easy re-take schedules. Free Items - Free staff photos, class photos, ID's, and picture packet for all school staff, as well as free safety ID cards for all students. We also provide necessary school administrative products such as sticker sheets, mug books, and software disks. Donation - School receives a percentage of total sales! Reasonable Pricing - Packages start at only $10, individual items at $5, with NO minimum order! Customer Service - Photography studio contact info included on all order envelopes for parent convenience. Products - Various print sizes, drinkware, key chains, notepads, calendars, digital files, and more!